Despite its relative proximity, each of the valleys differ the other. Due to the subsoil consisting of minerals and different compounds, they are of significant colours and soil, which subsequently affect the character of the human dwellings. 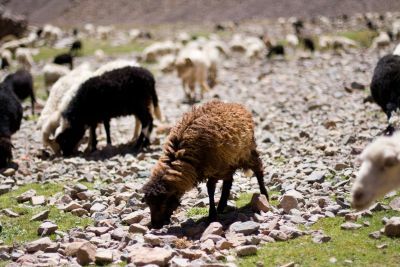 An amazing trek across the two Berber valleys of the High Atlas Mountains leads from Imlil to Setti Fadma via Tizi n’Tacheddirt (3600m) and Ourika valley. After a transfer to the village of Imlil (1740m) about 65 km south from Marrakech where our trek will start.Here we meet our mule team and set out on a two hour uphill hike to the tizi Tamatert (2279). 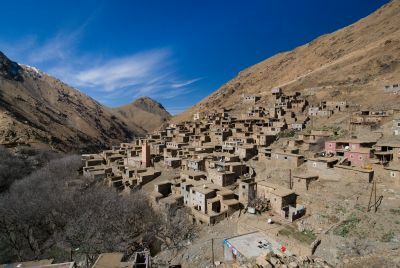 On the way we will see typical flat-roofed Berber villages surrounded by small terraced plots of land. We continue to climb gently until we reach the large village of Tacheddirt (2314m) where we stop for the night, in a village guest house or in tents outside the village. Approx. 4 hrs walking. There is some climbing today but this is largely a day of descent as we head down the valley towards Timichi – a trek of about 6 hours. We start with a climb of about 2 hours up to 3200m before gradually descending for a further 2 hours towards Iabbassen (2030m), a favourite picnic spot. 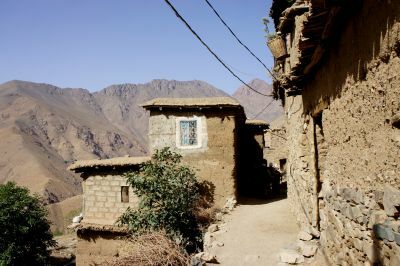 After lunch we continue along the valley to Timichi, an old Berber village where we spend the night in a Berber home. Along the way we will see typical Berber terraces and orchards as well as the high mountains to the south. Approx. 5 to 6hrs walking. We set out after breakfast for a 3 to 4 hour descent to Setti Fatma. On the way we pass through terraced fields and orchards, irrigated by the many streams coming down from the mountains. Our trail takes us through the small Berber villages of Anfli and Tadrart before we stop for lunch just outside Setti Fatma. After lunch there is time to explore this well known Berber village or visit its waterfall before our transfer back to Marrakech or Imlil. Approx. 3 to 4hrs walking.